Here is a fresh look at Charles Lindbergh's life offering new insights into the man and the myths that surrounded him. Drawing from a variety of sources, this book reveals how Lindbergh, though stubborn and absolutist in many ways, evolved in his outlook and world view. Loaded with photos, illustrations, artifacts and maps taken from a rich variety of private and public collections, this is a visually stunning and fascinating biography about Charles Lindbergh. 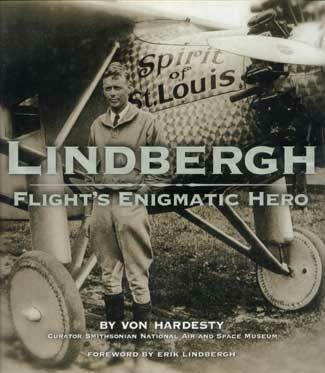 Lindbergh, Flight’s Enigmatic Hero book: 232 pgs, hardbound w/dust jacket, 10 x 9.5, 250+ color and b&w photos, gatefold.